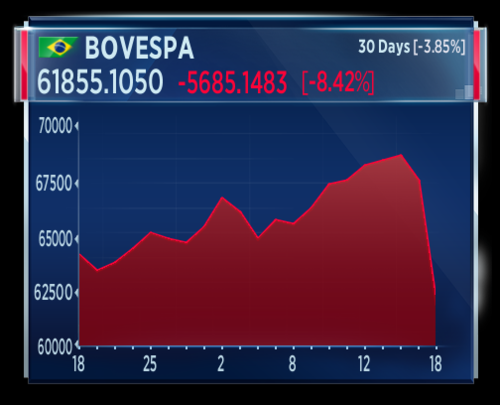 A scandal is engulfing Brazil and stocks are sliding hard. Brazil's media is reporting that a tape shows President Temer approving a payment to former Speaker of the lower house Cunha, who is in jail after leading the impeachment of former President Dilma Rousseff. Opposition parties have called on Temer to resign, and reports suggest his allies are turning on him as well. The story is still developing but whatever happens, the accusations call into question Temer's economic program and the political stability that had emerged in recent months. 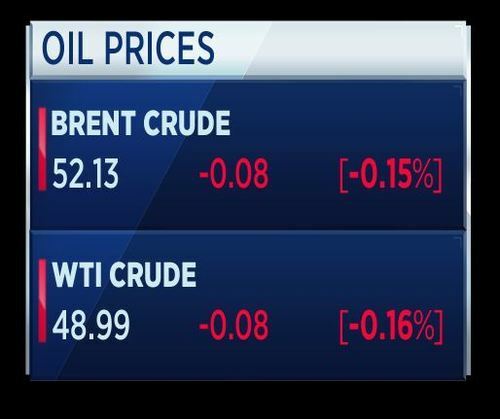 Washington wipes out Wall Street's gains. The Dow and S&P log their biggest declines of the year, while the Nasdaq has its worst day since Brexit, as volumes and volatility return. The Justice Department appoints former FBI Director Robert Mueller as special counsel to oversee the Russia investigation, adding pressure on President Trump after a tumultuous day on Capitol Hill. And the woes deepen as a report suggests the Trump team knew the President's NSA pick Michael Flynn was under investigation before he entered the White House as a key aide to Donald Trump. A bad joke. Republicans go into damage control after a tape is released of House Majority leader Kevin McCarthy saying "I think Putin pays" Donald Trump. Former National Security Advisor Michael Flynn informed President Trump's transition team that he was under federal investigation weeks before the election, according to a report by the New York Times. Flynn told Donald McGahn - now the White House counsel - on January 4th that authorities had opened an inquiry into his work as paid lobbyist for Turkey during the campaign. Despite this, Flynn was named National Security Advisor, before being fired after 24 days on the job. Deputy Attorney General Rod Rosenstein has appointed former FBI Director Robert Mueller as special counsel to oversee the agency's ongoing investigation into possible ties between Russia and the Trump Campaign. In a statement, President Trump said "As I have stated many times, a thorough investigation will confirm what we already know - there was no collusion between my campaign and any foreign entity." 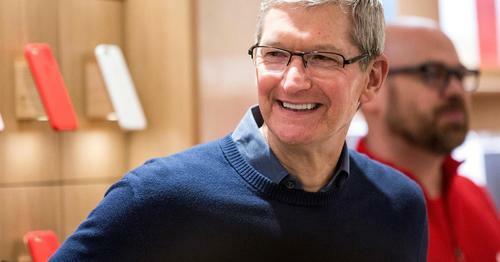 Apple is tapping the European debt market, issuing a dual-tranche euro denominated bond. 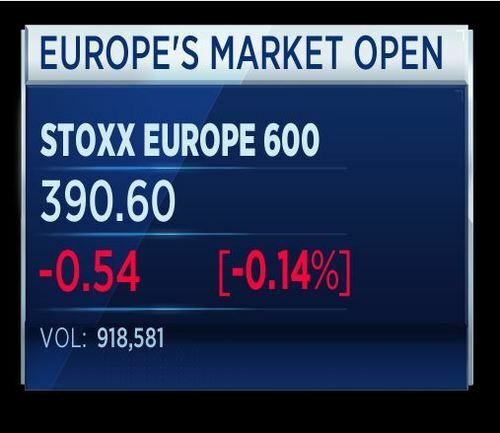 The US tech giant becomes the latest company to take a bite out of strengthening European markets, despite sitting on a 250 billion dollar cash pile. 23 billion euros have been raised by corporates since Emmanuel Macron was elected President of France earlier this month. 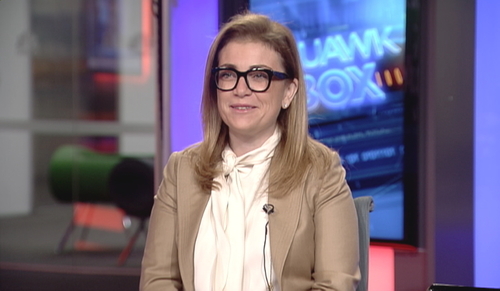 CNBCApple is issuing a dual-tranche euro-denominated bond – an 8-year and 12-year note. LinkedIn has revealed the best companies to work for across Europe and fashion is first in several countries. Retailer John Lewis tops the UK list with sector peers ASOS, Topshop and Harrods also making the top 5. Amazon heads up the tech heavy German leaders with Zalando, Rocket Internet and Google all making the list. Luxury firms lead the way in France according to LinkedIn's rankings, with LVMH, Chanel, Richemont and Hermes at the top of the pile. Asian equities lost ground, while U.S. futures meandered, amid U.S. political turmoil accelerated with the appointment of a special counsel to take over the investigation into Russia's involvement in the U.S. presidential election last year. 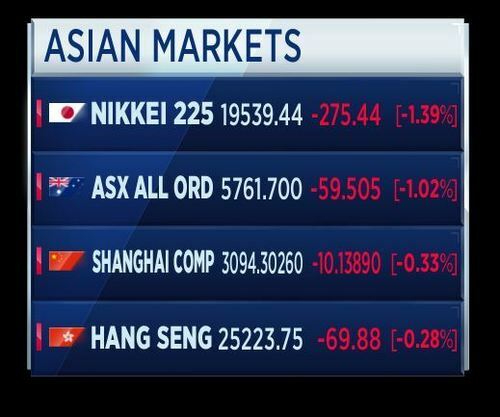 In Japan, the Nikkei 225 dropped 1.55 percent by 12:24 p.m. HK/SIN, weighed by a surge in the safe-haven yen. One longtime bull is not concerned by the fears surrounding the Trump Presidency and the effect they are having on markets. Wharton school finance professor Jeremy Siegel told our US colleagues the market rally has been based on the Republican agenda, not the Trump agenda. If Donald Trump resigned tomorrow I think the Dow would go up 1,000 points," the Wharton School finance professor said in an interview Wednesday with "Closing Bell. President Macron has pledged to work alongside European Council President Donald Tusk to overhaul the EU. The two men met over dinner yesterday to discuss reform plans. The content of their talks was not made public but President Macron is known to be in favour of the introduction of a common euro zone budget and finance minister. Irish Taoiseach Enda Kenny has stepped down as leader of Fine Gael. Kenny, who was elected as prime minister in 2011, said he will continue to lead until parliament chooses a successor, which is expected by June 2nd. France's unemployment rate edged down slightly to 9.6 percent in the first quarter, compared to 10.0 percent in the previous quarter, according to data published by the INSEE national statistics office on Thursday. Tackling the French jobless rate and improving the economy will be one of the key tasks for President Emmanuel Macron and the country's new government. The historical high for French unemployment rate was 11.2 percent in the first, second and third quarters of 1997 and the historical low was 7.5 percent in the first quarter of 2008. Facebook marks the fifth anniversary of its IPO today. 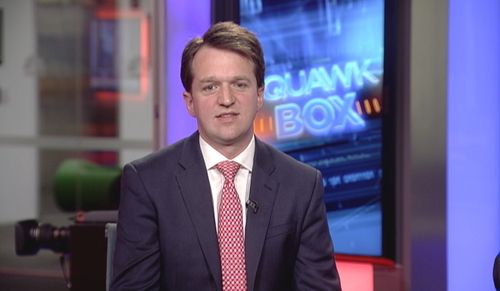 CNBC's Eric Chemi has been looking at the social network's growth over the past five years. Burberry Group posts earnings per share of 64.9, net profit at 286 million pounds. The company has posted a pretax profit of 394.4 million. 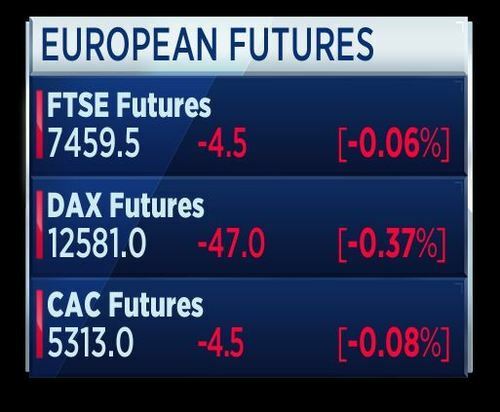 European markets are expected to open lower Thursday as mounting political uncertainty in the U.S. exacerbated concerns among investors as to whether President Donald Trump would be able to deliver on key pro-growth policies. Burberry posts a 21 percent drop in underlying profit in its last earnings report before its new CEO takes the helm, but the luxury group says cost savings remain on track. Thomas Cook turns a corner. The tour operator forecasts a bright summer season after posting revenues in line with expectations, thanks to strong winter demand for destinations like Spain. The European Central Bank should not wait too long before paring back stimulus once it is convinced that inflation has recovered, and it could in theory increase rates early if necessary, ECB board member Benoit Coeure told Reuters. With euro zone inflation now just under 2 percent and growth on its best run for years, the ECB is coming under pressure from Germany, the bloc's biggest economy, to start winding down its 2.3 trillion-euro ($2.6 trillion) bond-buying programme and start increasing its main policy rate, currently below zero. In an exclusive interview, Coeure, a long-standing supporter of ECB President Mario Draghi's policy, said the bank should be ready to change its stance once economic conditions allow, or it risks a bigger financial blowback when it eventually does so. Too much gradualism in monetary policy bears the risk of larger market adjustments when the decision is eventually taken, Coeure said. He added that the ECB should not put too much weight on political event like elections when deciding policy, a likely reference to elections in Germany in September and in Italy by May 2018. Apple is tapping the European debt market, issuing a dual-tranche euro denominated bond. 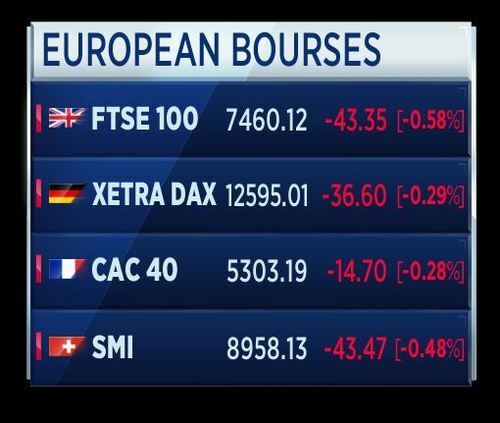 The US tech giant becomes the latest company to take a bite out of strengthening European markets, despite sitting on a 250 billion dollar cash pile. 23 billion euros has been raised by corporates since Emmanuel Macron was elected President of France earlier this month. This is the window to go to markets for this year. If you think about it you had so much political risks up to now that investors were staying on the sidelines. But from now until June 8th you have a clear window. Little did we know that political risk is not off the table. If you look at corporate balance sheets, a lot of clean up has been done along the years since the crisis. People have locked in long term debt fixed rates. The risk of interest rate rising is protected. 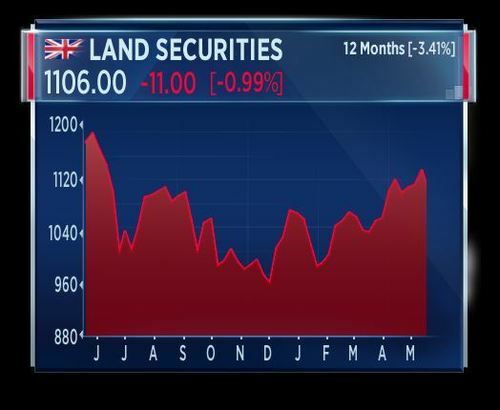 Land Securities has reported a drop in adjusted diluted net asset value to 1,417 pence per share for the full-year. The British property developer said Brexit has led to lower occupational demand in the London office market and it now expects a shift from demand to supply over the course of the year. 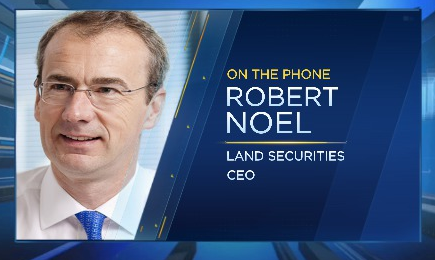 Robert Noel, CEO of Land Securities, says he is relaxed about the company’s net asset value position. We sent out a very clear 4-point plan in May 2014 saying that by the end of 2016 we’d wanted to have wound down our development program, we wanted to have long leases in London offices and we wanted to have lower gearing, and also we wanted to transform our retail business and we’ve delivered that. Tick, tick, tick, tick. Noel says the company is in pretty good health. The European Commission alleged that telecoms group Altice had breached EU rules by implementing its acquisition of PT Portugal before notification or approval by EU antitrust regulators. Altice agreed a deal in Dec. 2014 with Oi OIBR4.SA, the Brazilian operator controlling PT Portugal, to acquire sole control of the Portuguese telecoms company. Altice notified the Commission in Feb. 2015 of its plans and the Commission cleared the transaction with conditions in April 2015. On the topic of Brexit and its affect on the firm, Robert Noel, CEO of Land Securities, says businesses are in a period of uncertainty. We absolutely do not know what our terms of trade are going to be with the EU yet. We will not know for a couple of years. It just brings in a bit of hesitancy amongst occupiers, but you need to remember that people need somewhere to work from. He says there will always be demand, but the question is the balance between supply and demand. Burberry posted a 21 percent drop in pretax profit for the full-year, as weak wholesale demand in the US weighed on earnings. In the last report before its new CEO takes the helm, the luxury group said it expects pretax profit to edge up this year and that cost savings targets were on track. Thomas Cook posted a 3 percent rise in half-year revenue, in line with expectations. The British tour operator also said it expects strong demand during the summer season. 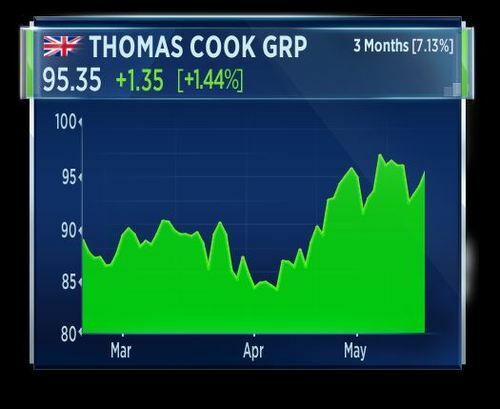 Speaking to CNBC the CFO of Thomas Cook Michael Healy said the company's strategy is working. 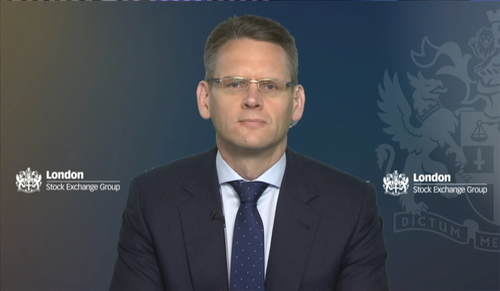 Tom Moore, investment director of Standard Life Investments, says investors need to be careful at current valuations. I think you have to look at valuations. A quarter of U.K. FTSE 100 stocks trade on a P/E of above 20 times. That’s not a great starting point for an investment. If you believe that there’s a link between your starting valuation and the returns you’re going to generate, that’s not a great starting point. Moore says the good news is a quarter of stocks are trading below 12 times, which will include stocks generating lots of cash and paying out good dividends. Land Securities has reported a drop in adjusted diluted net asset value to 1,417 pence per share for the full-year.The British property developer said Brexit has lead to lower occupational demand in the London office market and it now expects a shift from demand to supply over the course of the year. European Union antitrust regulators on Thursday said they would fine Facebook 110 million euros ($122.4 mln) for providing misleading information over its purchase of messaging service WhatsApp in 2014. Calling it a "proportionate and deterrent fine", the European Commission, which acts as the EU's competition watchdog, said Facebook had said it could not automatically match user accounts on its namesake platform and WhatsApp but two years later launched a service that did exactly that. "The Commission has found that, contrary to Facebook's statements in the 2014 merger review process, the technical possibility of automatically matching Facebook and WhatsApp users' identities already existed in 2014, and that Facebook staff were aware of such a possibility," the Commission said. The European Commission says Altice could have breached EU rules by taking control of PT Portugal before the acquisition had been approved. 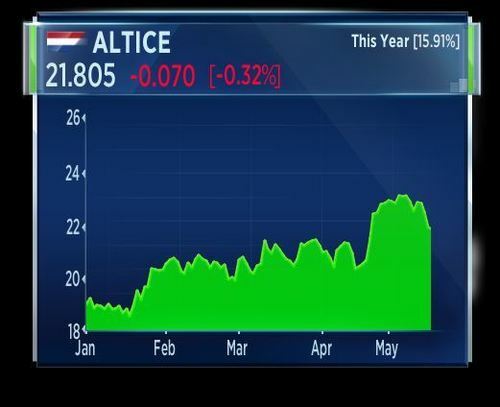 If found to have taken over the telecoms company too soon, Altice could be fined up to 10 percent of its annual global turnover. Responding moments ago, Altice said it does not agree with the Commission and will contest all objections. Nick Carn, founder of Carn Macro Advisors, shares his advice for investors. Like any investor I’d rather buy something at a low price rather than a high price, I think we can all accept that. But that’s slightly different from saying at any given moment the cheap stuff is the best stuff. I think of businesses like Burberry. Throughout my working career, the global luxury goods business, the Louis Vuittons, these kinds of things, have always been expensive in the sense that they’ve been on high multiples. And then 10 years later you find they’re still on a high multiple and the share price is way higher, because they’ve delivered all this growth in the meantime. Carn says expensive, good stocks can be better than cheap, rubbish stocks. Germany's Federal Supreme Court says refers Uber case to European Court of Justice. That's according to Reuters. National Grid reported a 13 percent increase in full-year operating profit, while revenue from continuing operations rose 14 percent. The British utility company said it made significant progress this year and that it's well positioned for the future. 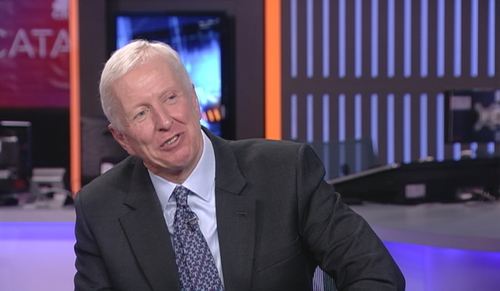 John Pettigrew, CEO of National Grid, says he is delights to report strong results for the end of his first year as CEO. Uncerlying operating profits are up 5.4 percent to £4.3 billion and earnings per share are also up 6.1 percent to 66.1 pence. And that’s been underlined by a year of rapid investment in National Grid. We’ve actually invested £4.5 billion, which has underpinned a world-class level of safety and reliability on our networks. Pettigrew says it has been a year of evolution for the company. John Pettigrew, CEO of National Grid, says since privatisation of the company it has reduced costs and increased innovation. National Grid is actually operating at about 40 percent lower costs than it was when governments held the industry. I don’t think it’s good value for tax payers or energy consumers to spend tens of billions on renationalisation. The stock sell-off loses some steam in Europe, but equity markets remain in the red, with financials following their Wall Street peers lower. Shares in Fiat hit the skids after the U.S. Department of Justice reportedly prepares to sue the car-maker over its excess emissions. The EU hits Facebook with a "proportionate and deterrent fine" of 110 million euros for providing misleading information over its acquisition of Whatsapp. Gold prices have topped a two-week high, boosted by political uncertainty in the States. 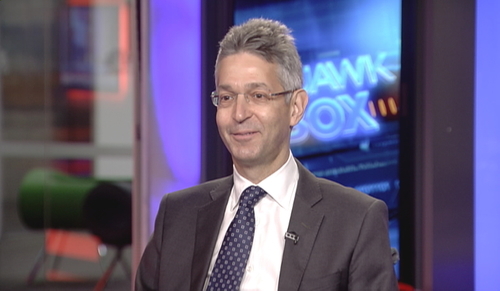 Martin Fraenkel, president at S&P Global Platts, discusses the price movement of the precious metal. If you look at the last year of gold prices and all things that have been going on in the world, gold prices really haven’t done very much and as you mentioned we’ve begun to see a bit of a rally but it’s nothing very much and gold continues to stay in the range. So you’ve got a little bit of a disjuncture between the whole, overall geopolitical situation, the flight to safe assets, what we’re seeing in equity markets and the risk of a sell-off, and gold prices really just ambling along. ECB's Weidmann says political risks for economy in euro zone have diminished somewhat after presidential election in France. That's according to Reuters. 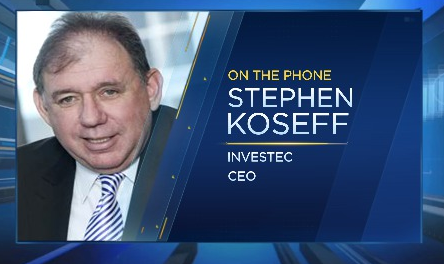 Stephen Koseff, CEO of Investec, says he is happy with these results. We’re comfortable with our capital position and we’ve had a good year in terms of penetration of our markets. We had some support from the strong Rand, but overall we had a very good set of results in a volatile market. Koseff says events in South Africa and the U.K. have presented challenges, both of which have elections this year. He says there is a lot of volatility in South Africa. ECB's Weidmann is speaking at a conference in Frankfurt. He says French election result has reduced political risk and at present he doesn't see political uncertainty harming economy. That's according to Reuters. 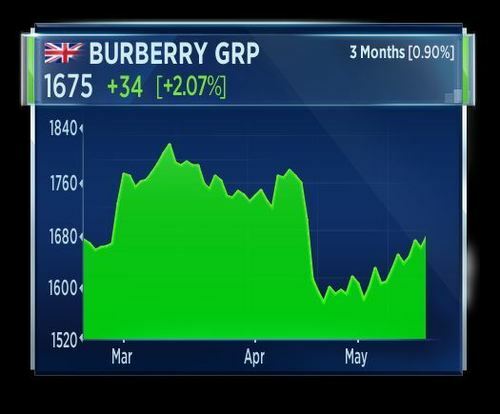 Full year results for Burberry show sales increasing 10% to £2.8bn and profits up 10% to £462m, all strongly boosted by currency swings in the company’s favour. The underlying picture is that both sales and profits were down significantly, as weakness in key markets put margins under pressure. 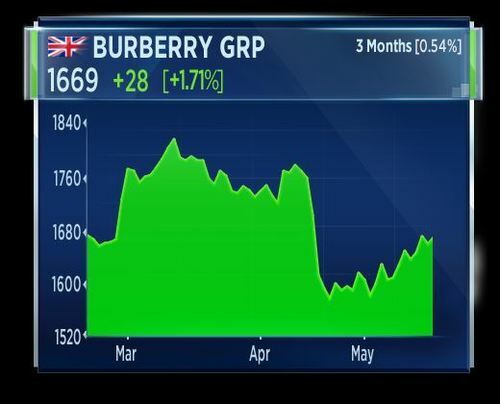 The vital signs look to be picking up at Burberry, just ahead of the arrival of new CEO Marco Gobbetti in July. Despite all the difficulties of the last few years, cash flow has held up throughout, underlining the attractions of the stock. Luxury Goods can generate high margins, selling baubles to a gilded clientele and Burberry’s long term potential seems strong. Cash flow was strong, with Burberry generating £465m of free cash flow during the year, allowing it to buy back £100m of shares and still see net cash balances rise £149m to £809m. Retail sales were up 3% underlying, with marginally positive like for likes. Wholesale revenues dropped 14% and licensing revenues almost halved as the company restructured its Japanese and Beauty businesses. 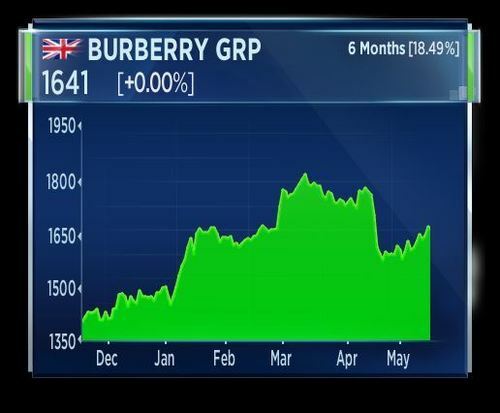 Dividends rise 5% and Burberry plans a £300m buyback in the current year. 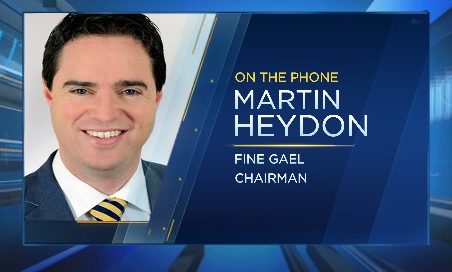 Martin Heydon, chairman of Fine Gael, says Enda Kenny has stepped down on his own terms. He always said he wouldn’t lead us into the next general election and it’s always hard to find the right time when you’re the leader of a country and a party to go, but I think when you look at Brexit and the role we’ve played, now is the right time. Heydon says Enda Kenny has played a crucial role in early Brexit negotiations and preparations.